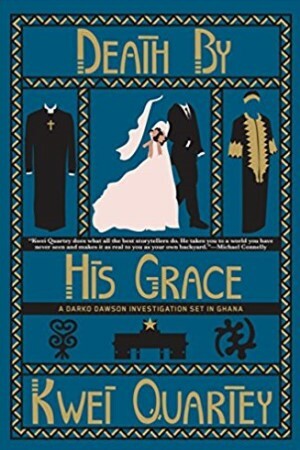 Atmospherically set in Accra, Ghana, Chief Inspector Darko Dawson investigates the brutal murder of a high-society bride. In order to expose the truth, Darko must confront the pivotal role religion plays in Ghana—and wrestle with his old demons the investigation stirs up in the fifth entry to the African series. Katherine Yeboah’s marriage to Solomon Vanderpuye is all the talk of Accra high society. But when it becomes apparent that Katherine is infertile, Solomon’s extended family accuses her of being a witch, hounding her until the relationship is so soured Solomon feels compelled to order Katherine out of the house they shared. Alone on her last night there, Katherine is brutally murdered by an intruder. Chief Inspector Darko Dawson of the Ghanaian federal police has personal as well as professional reasons to find the killer fast: Katherine was the first cousin of his wife, Christine, who is devastated by the tragedy. As Darko investigates, he discovers that many people close to Katherine had powerful motives to kill her, including: Solomon, her husband; James Bentsi-Enchill, her lawyer and ex-lover; and her filthy rich pastor, Bishop Clem Howard-Mills. In order to expose the truth, Darko must confront the pivotal role religion plays in Ghana—and wrestle with his old demons the investigation stirs up.